The Mongol Empire can be seen as marking the beginning of the modern age, and of globalization as well. While communications between the extremes of Eurasia existed prior to the Mongols, they were infrequent and often through intermediaries. 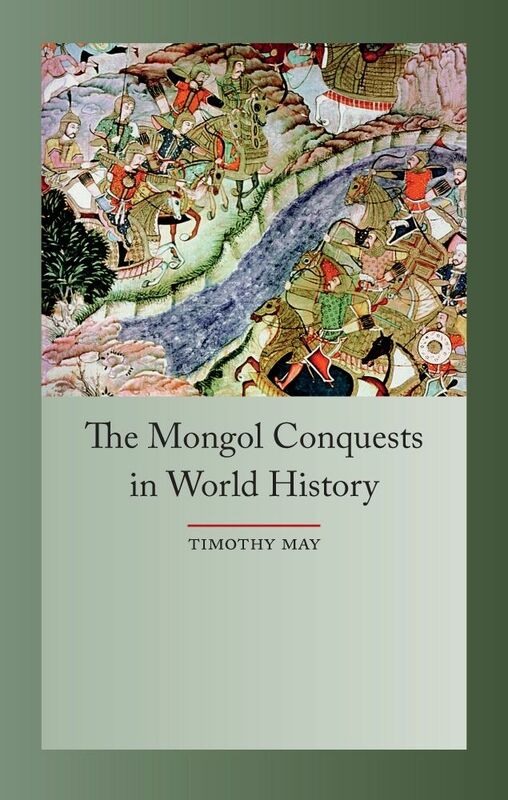 As this new book by Timothy May shows, the rise of the Mongol Empire changed everything—through their conquests the Mongols swept away dozens of empires and kingdoms and replaced them with the largest contiguous empire in history. While the Mongols were an extremely destructive force in the premodern world, the Mongol Empire had stabilizing effects on the social, cultural and economic life of the inhabitants of the vast territory, allowing merchants and missionaries to transverse Eurasia. The Mongol Conquests in World History examines the many ways in which the conquests were a catalyst for change, including changes and advancements in warfare, food, culture, and scientific knowledge. Even as Mongol power declined, the memory of the Empire fired the collective imagination of the region into far-reaching endeavors, such as the desire for luxury goods and spices that launched Columbus’s voyage and the innovations in art that were manifested in the masterpieces of the Renaissance. This fascinating book offers comprehensive coverage of the entire empire, rather than a more regional approach, and provides an extensive survey of the legacy of the Mongol Empire.